Wimbledon Common is a challenging forested area close to Central London. The Common is much improved for orienteering by the extensive clearance work over the last two years, and benefits from a new map by Tom Edelsten, and the option of SI Air punching. Parking is limited, so please share cars, cycle or use public transport where you can: bus numbers 85, 265 and K3 stop right outside. The south east middle distance courses have estimated winning times of 35 minutes for seniors and somewhat less for 14s and under. Competitors may enter any class, but will be competitive for the Championships on the designated course for their age class or if ‘running up’, and provided they have South-East as the association on their membership. Available courses are M/W 10, 12, 14, 16, 18, 20-40, 45-50, 55-60 and 65+. There will be white colour-coded course suitable for children and families, and Naughty Numbers for children. There will be entry on the day, subject to map availability, with fees as for late entries. 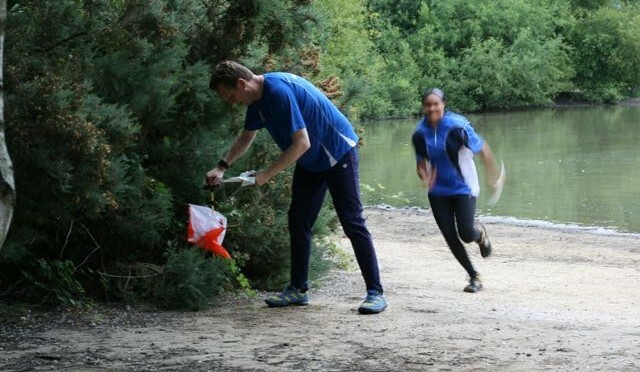 There is a £2 surcharge for adults who are not members of British Orienteering. There is no hire charge for juniors.